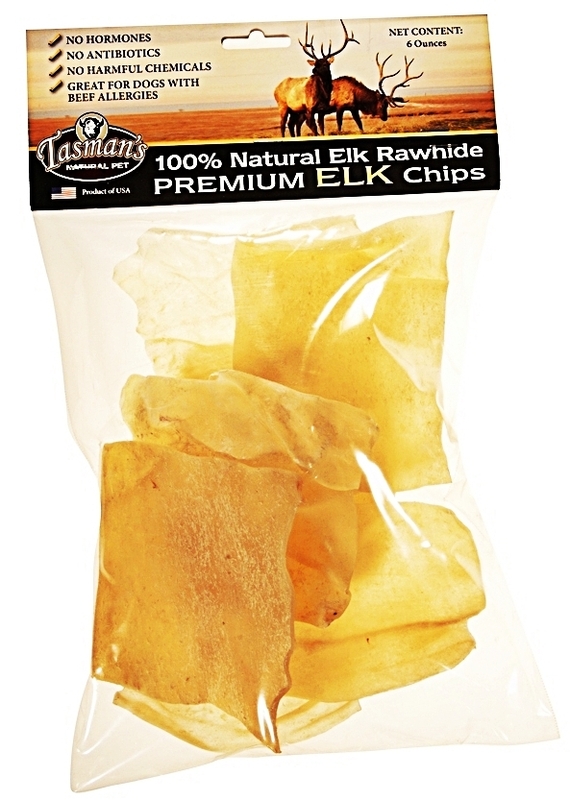 Premium Elk Rawhide Chips made from North American Elk. 6 oz. per package. Chip Size Approx 3" - 4"